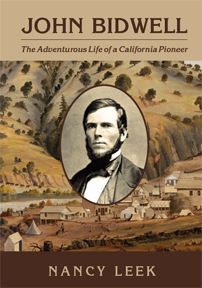 On October 24, 1841, John Bidwell and the rest of the Bidwell-Bartleson Party were still in the Sierras, and very lucky that the winter storms had not yet begun. John had left the rest of the company to hunt for game the day before, and had spent the night sleeping by a giant fallen sequoia in what is now Calaveras Big Trees State Park. If they had gotten the kind of rain we saw this weekend (and I assume it’s snowing in the mountains), I wonder if they would have made it?